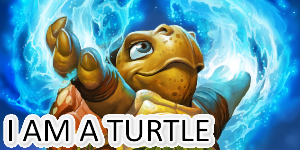 Hello everybody! 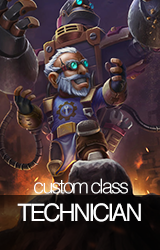 In addition to our regular competition this week, we're also running a competition in honour of our last class design competition winner, the 'Sea Witch Class' which won 'Deathwing Needs A Friendwing', our fourth class creation competition. 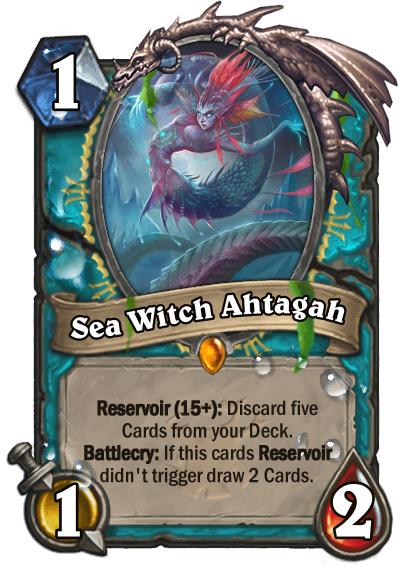 It's time for you to help the Sea Witch show Hagatha who rules the roost! 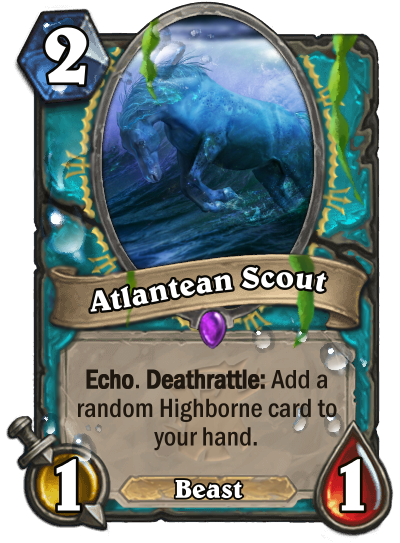 Your card must be a Sea Witch class card. 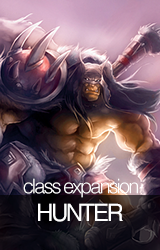 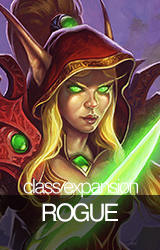 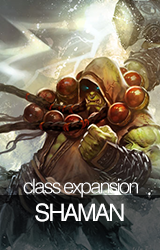 To see the existing Sea Witch class in its entirety, click on the delightful banner above. 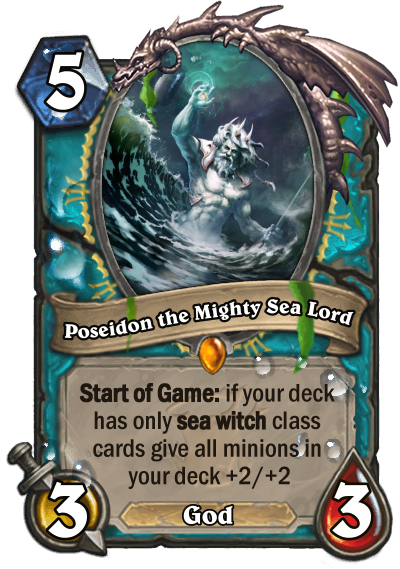 Your card must use the Sea Witch class's card border. 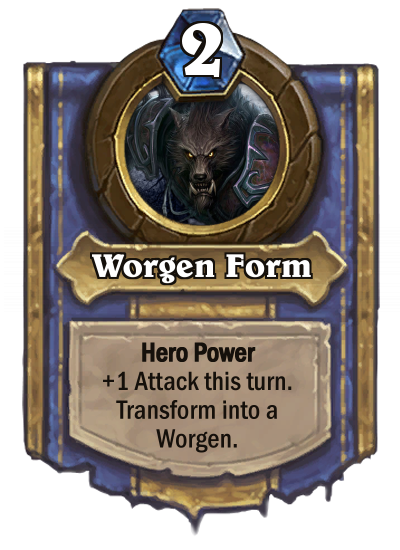 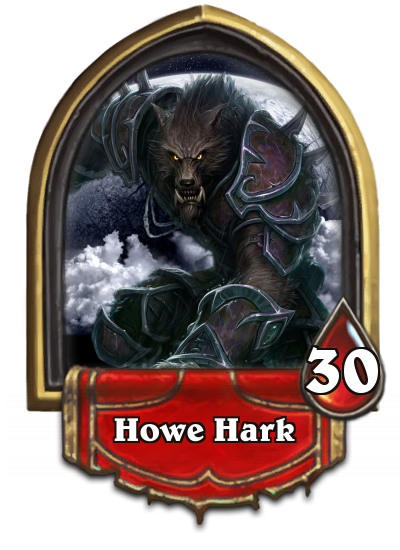 In Hearthcards.net, you can find this by clicking "Custom Classes" (directly to the right of "2. 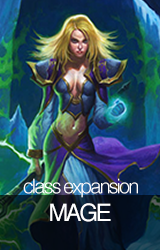 Choose a Class") and selecting "Sea Witch by McF4rtson", the first one on the bottom row. 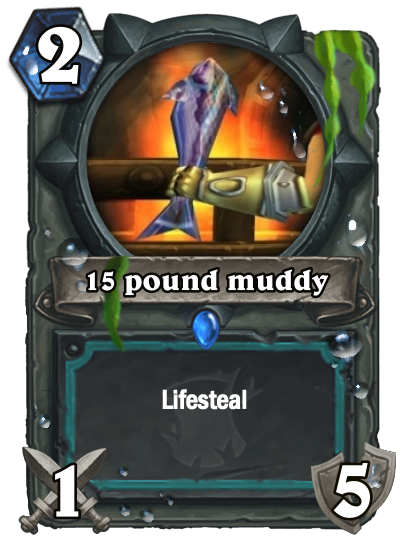 Your card must be a Witchwood card. 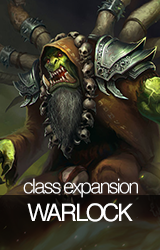 Fun and even humorous entries are perfectly allowed, but "troll" entries will be disqualified. 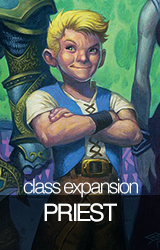 If you're worried that your card may be misinterpreted as a troll card, contact a moderator before you submit. 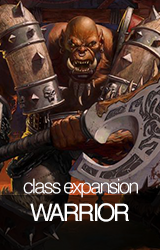 This works better and better the longer it survives, kinda like the class overall. 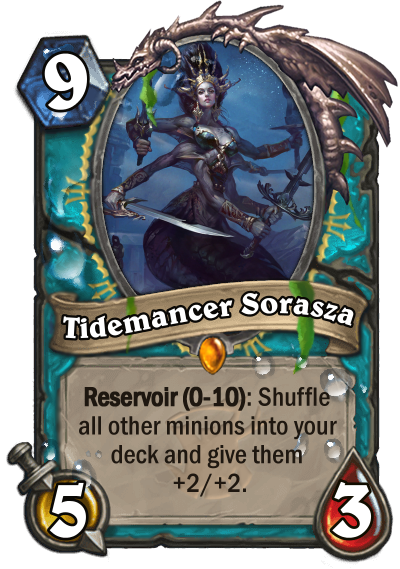 This is a card that could support any Control Sea Witch deck archetype. 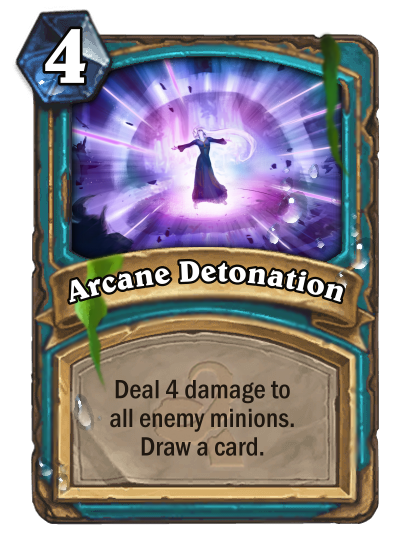 Because the Highborne cards are so powerful, I set the effect as a deathrattle rather than a battlecry so that you don't receive the card immediately. 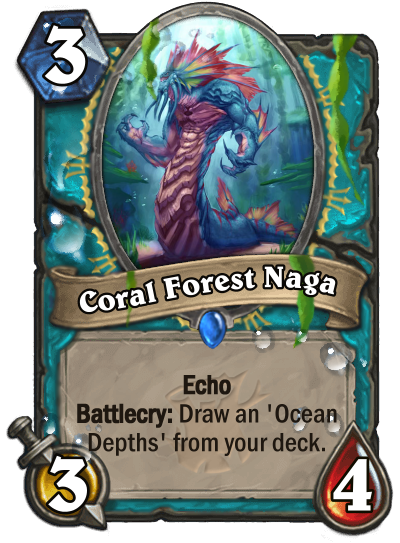 The combination of the cost and the echo means that on ten mana, you could play this card five times and potentially receive all five Highborne cards, which I feel is a nice touch. 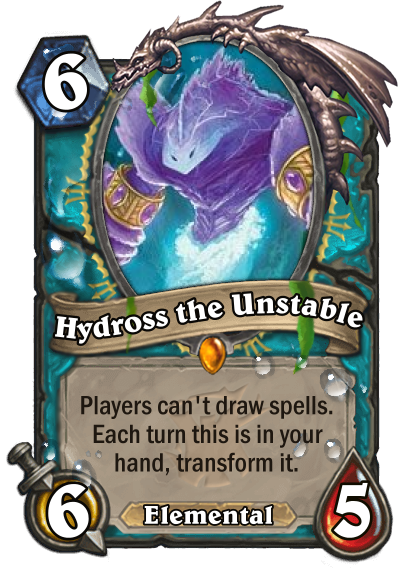 This is a Concept to help out the Decks that don't want your Reservoir to Trigger play this early to smaller your Deck late to refill your Hand. 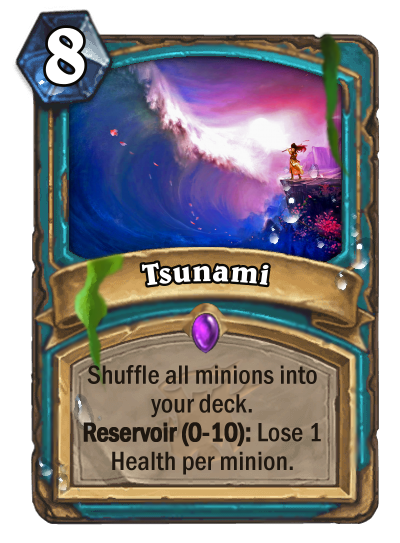 When played: "The power of the sea will destroy you!" 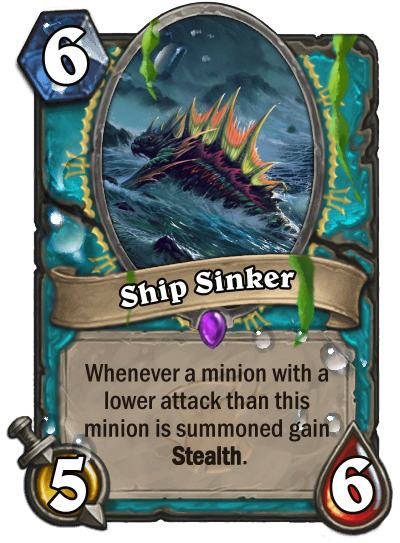 When attacks: "Drown in my sea!" 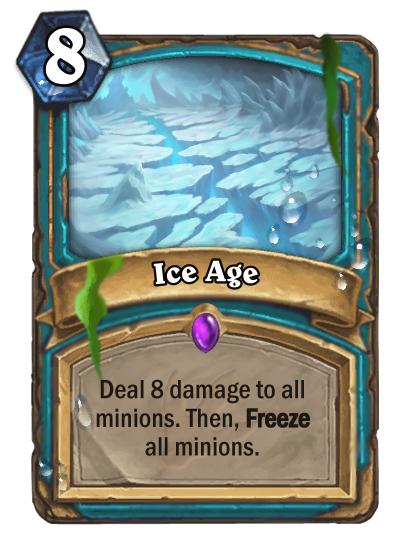 Sick late game control refill that allows you to clear the board as well. 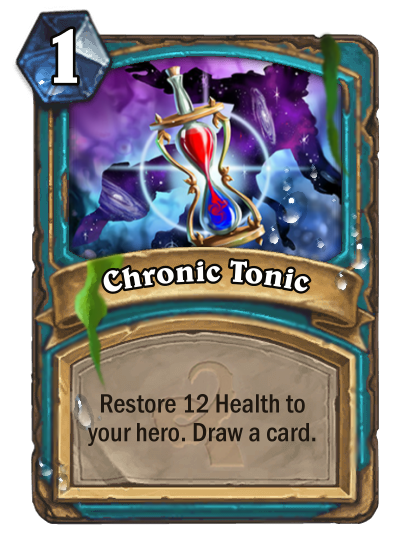 Seemed a little too good to be an epic, so I made it a legendary to make it more balanced and to give the flavor a little more oomph . 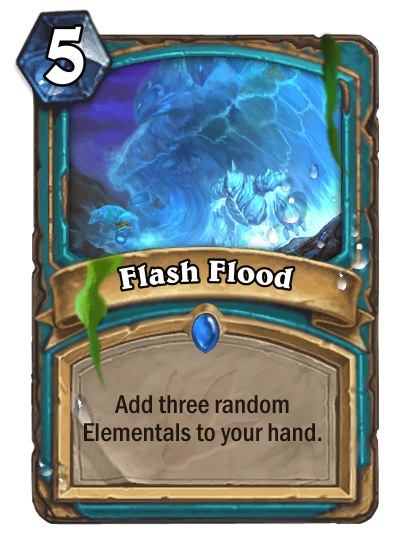 For context, Flash Flood and Ice Age are two of McF4rtson's Sea Witch spells from the Un'Goro set. 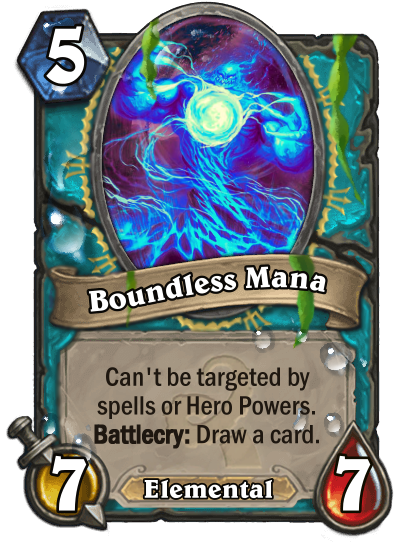 Flavor Text: " Dude of Currents" for friends. 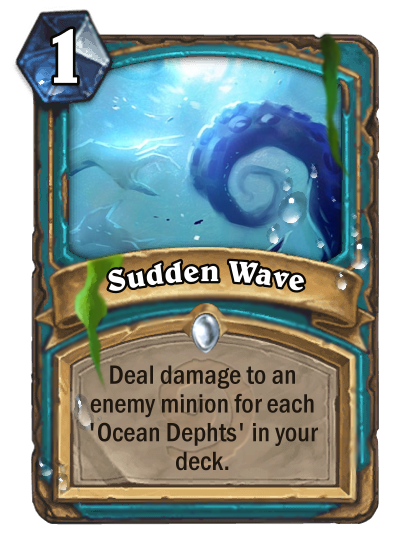 Offers a powerful tool to manipulate the card draw if you want to draw your Ocean Depths or not and forces the opponent to adapt into the situation as well. 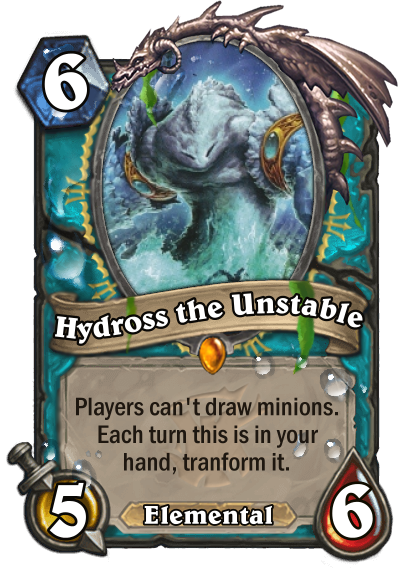 Hydross the Unstable is the first boss of Serpentshrine Caverns in Coilfang Reservoir. 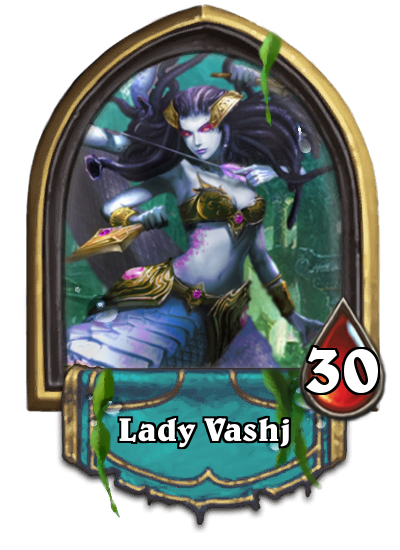 He is forced to guard and is being held prisoner by Lady Vashj. 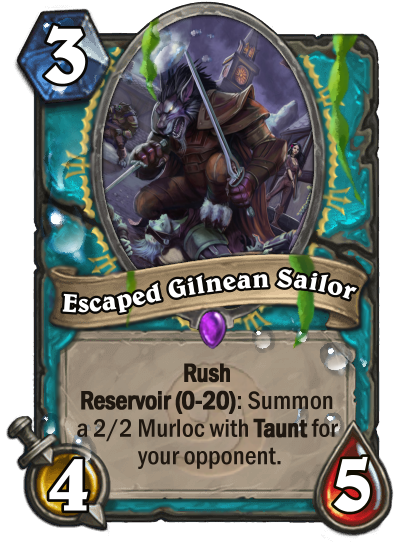 He is kept in check by the two beams in his prison. 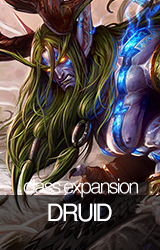 If he leaves them, he becomes poisoned, causing him great pain. 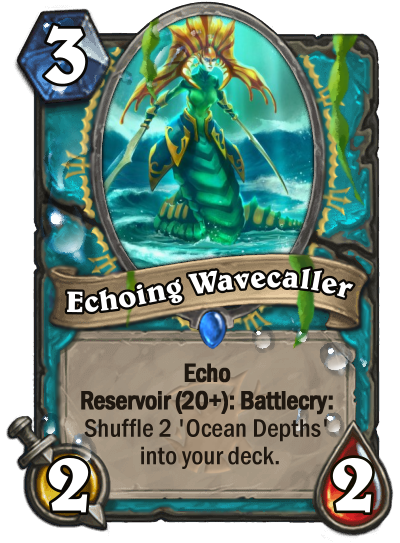 Flavor text: It works hard so that everyone may be able to hear its sick waves, bro. 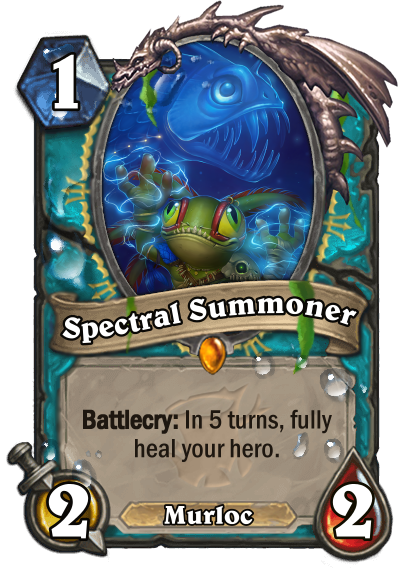 "I mean, yeah, this 6-foot wolfman prisoner is being guarded by a 3-foot fish with legs. 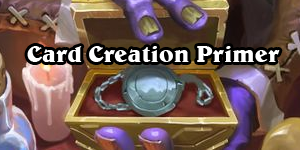 What could possibly go wrong?" 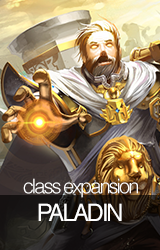 Flavor : "All pandaren emperors begin their reign by consulting with the great jinyu elders. 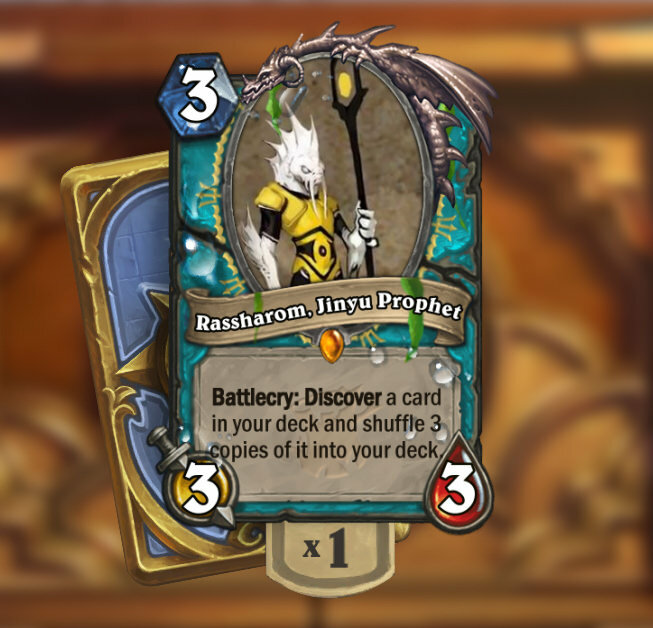 It was said that the jinyu could talk to the rivers, that they could hear whispers of the future in the rippling waves. 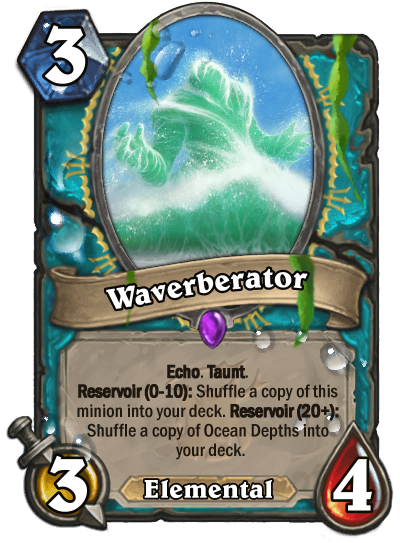 The great waterspeaker closed his eyes and listened to the rivers." 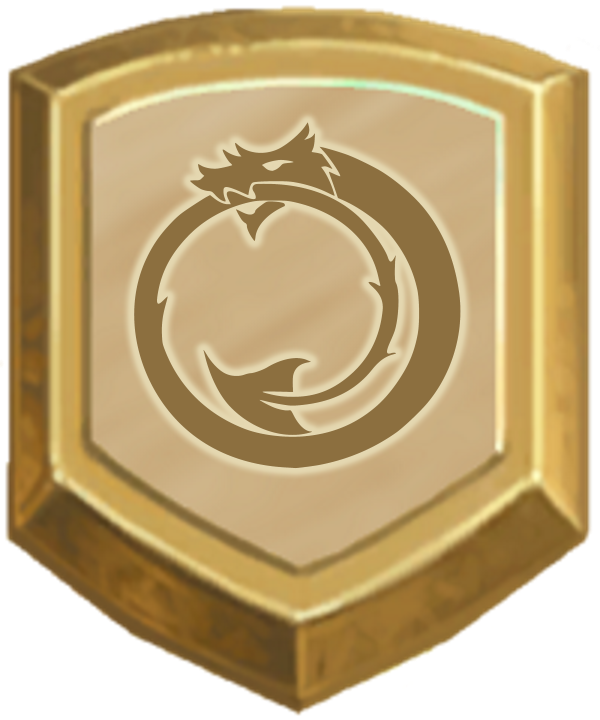 Entry : "Save our lands, Emperor!" 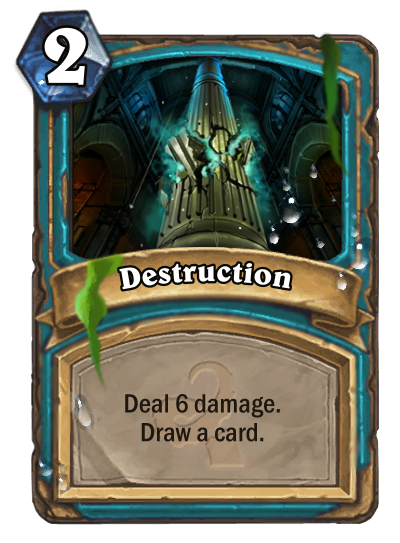 With echo, you can do a variable amount of damage to kill one or more targets and/or use it to up the size of your deck. 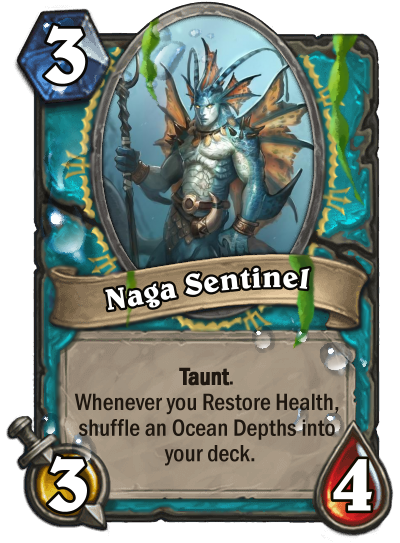 The wording on adding Ocean Depths to your deck seems inconsistent across the cards McF4rtson made, but I took the wording of this from Saltspring Wand. 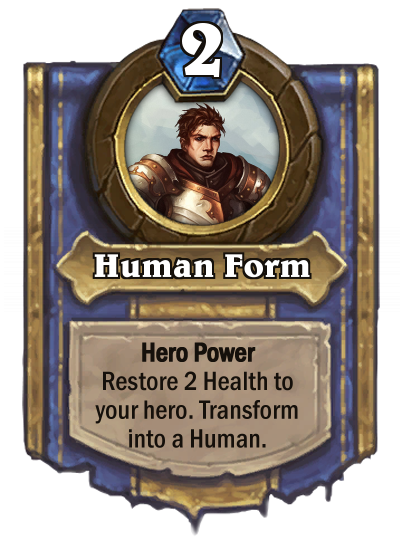 I thought of a neat card to play with both the computer mechanics and the idea of adding cards to your deck. 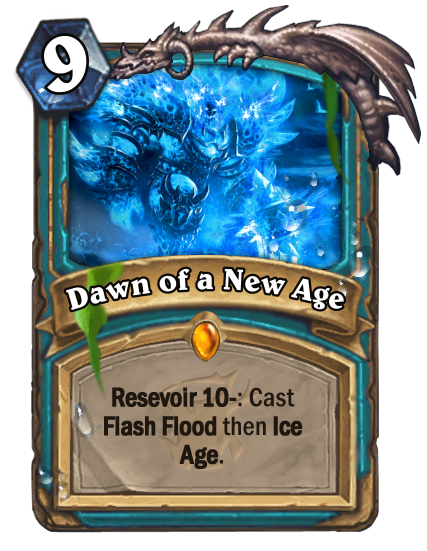 This is especially designed with Reservoir 20+ cards in mind, when they are drawn in the late game. 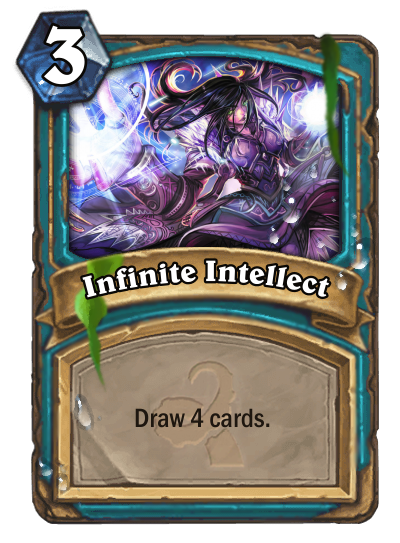 You double the cards in your deck and they are immediately casted when drawn. 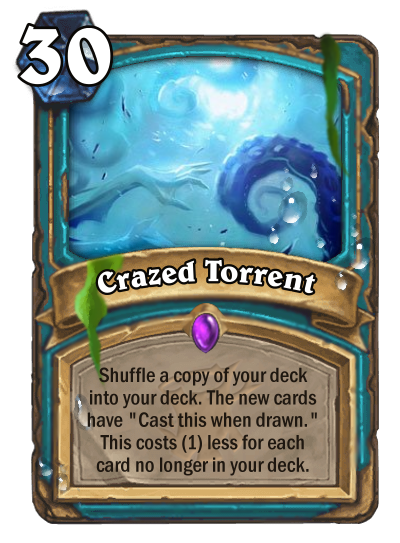 Because of the power, this can be played only when you have at most 10 cards in your deck. 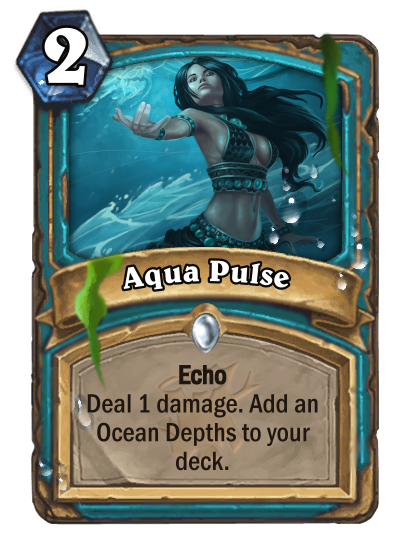 It especially works in the Even Sea Witch, a deck that has to compete with Odd Sea Witch for continuous shuffling cards in the deck in a faster rate than Even can. 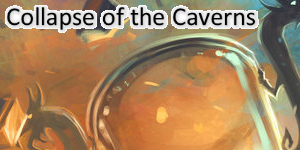 Check out my custom Bard class!